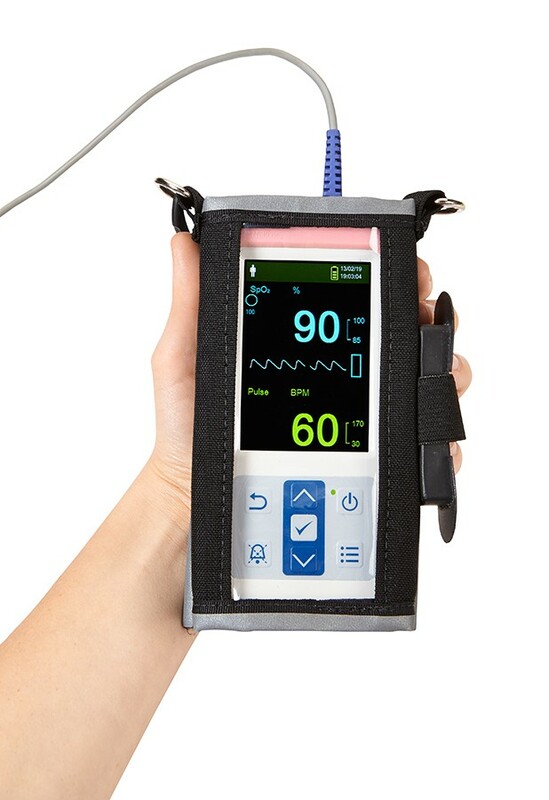 Covidien Nellcor PM10N Handheld Pulse Oximeter with Alarm is a portable patient monitoring Pulse Oximeter that's hand held, perfect for quick checks and offers continuous monitoring in several home, office or other settings. A bright, easy-to-see digital LCD screen displays several key pieces of information about each patient, making chart recordings easier for hospital staff. Each critical number is also brightly colored in different shades while showing the proper range for both the oxygen levels as hear as normal heart rates. 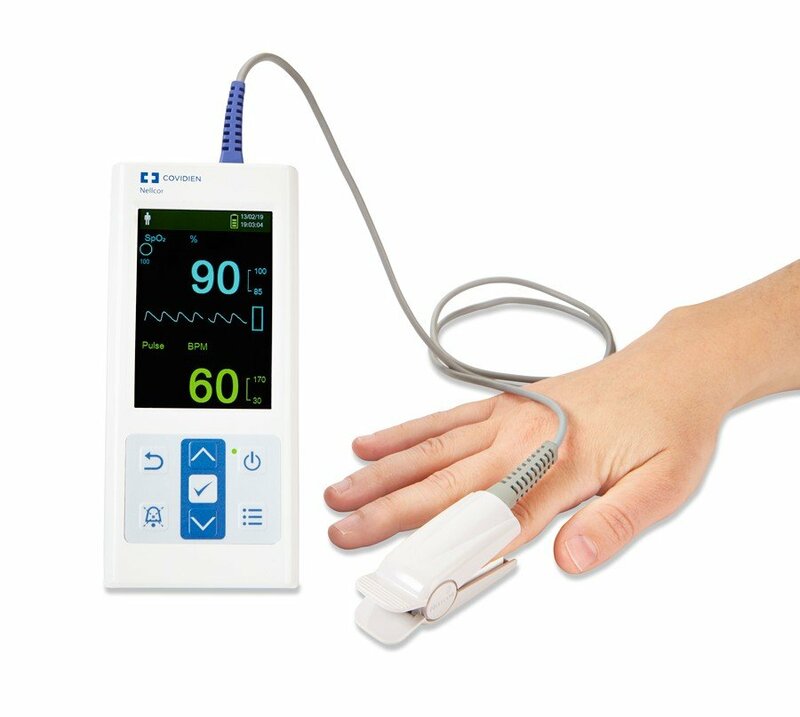 The oximeter is compatible with Nellcor's entire line of sensors offering pulse rate, SatSeconds alarm management, blip bar and other key pieces of information. The monitor also has simple controls that allow any user to scroll through the features without having to read a hefty manual. 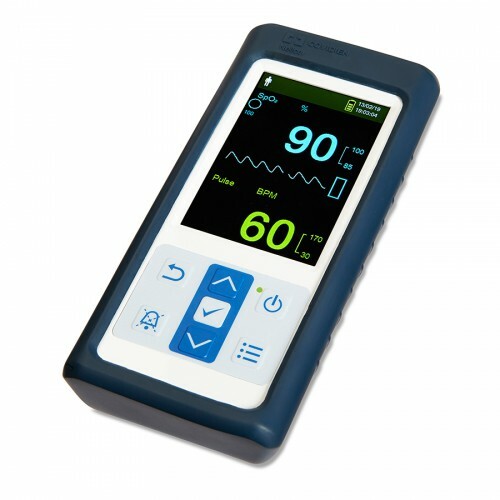 An audio pause button along with volume controls, menu and power controls give any user all the necessary adjustments they need for each patient. The battery access door is also easily accessible so you can quickly and easily swap out batteries at any moment. The Alarm System Adjustments allow for limits on high and low SpO2, high and low pulse rates and SATSeconds. Other modes such as Homecare, Response, Sleep Study and others can be accessed based on your needs. Each Monitor requires four AA-sized 1.5V Lithium batteries and each system includes a Nellcor Reusable Pediatric and Adult SpO2 sensors.